Mara began running in 2011. 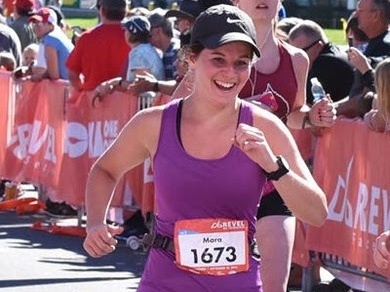 After spending a lot of time playing organized soccer, Mara decided to put her endurance skills to the test and train for her first full marathon--REVEL Rockies 2014! Since then, she has run 9 marathon plus distances, including a 50K and 50 miler. REVEL Rockies holds a special place in her heart as her first marathon, and she's been back to conquer the course three times now. She loves running for the relaxation and enjoyment of nature. And with the beautiful monuments and trails in DC, who can blame her? Mara likes to mix a lot of cross-training into her fitness schedule and enjoys biking, rollerblading, and weight lifting.